May 31, 2018 June 1, 2018 Red. The feast of the feast of Corpus Christi during the retreat of the sick in Trzebinia. 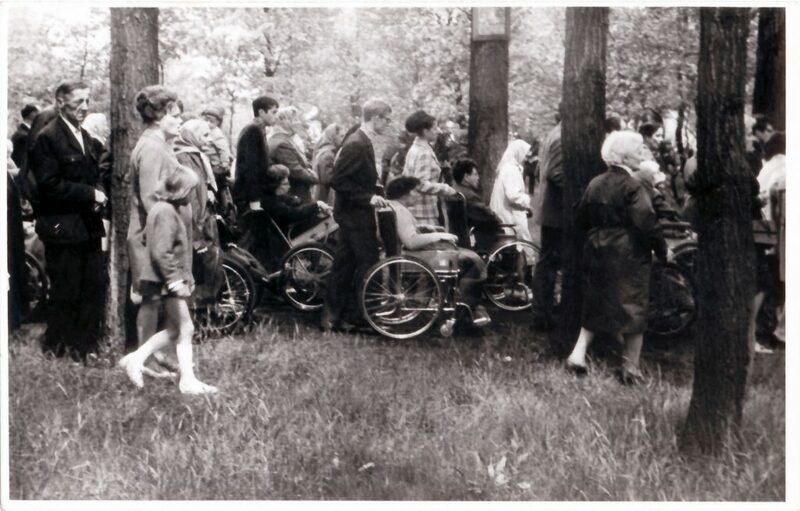 Patients took part in the procession, driven by volunteers. 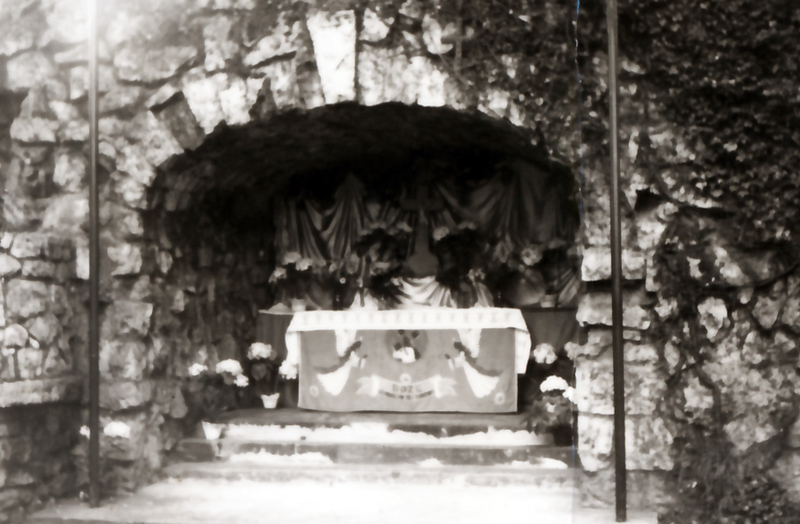 The altar in the grotto was prepared by the staff and the sick. 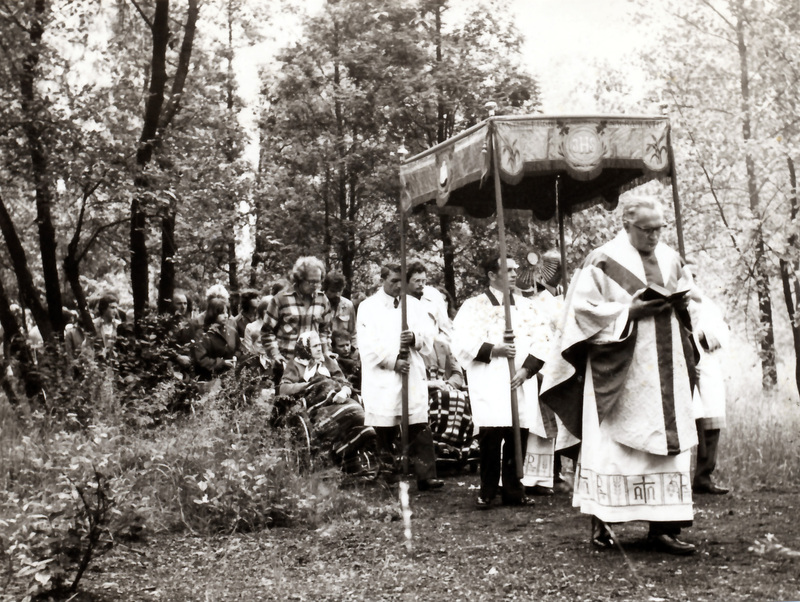 The celebration was initiated by Blessed Hanna Chrzanowska in those years when the retreats included the feast of Corpus Christi.